Oversized but not too. 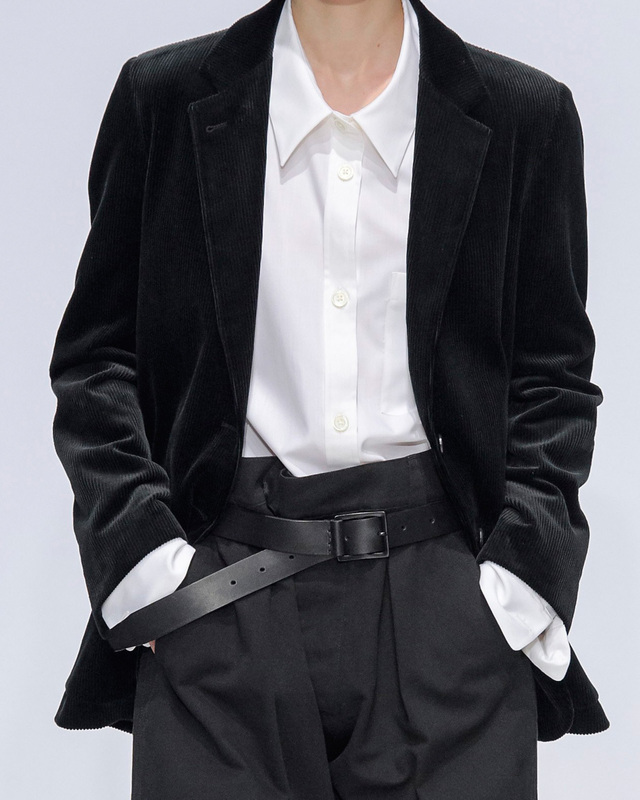 I love the mix of materials here, the lightweight shirt, corduroy jacket, and that fantastic leather belt. Image courtesy of Margaret Howell. 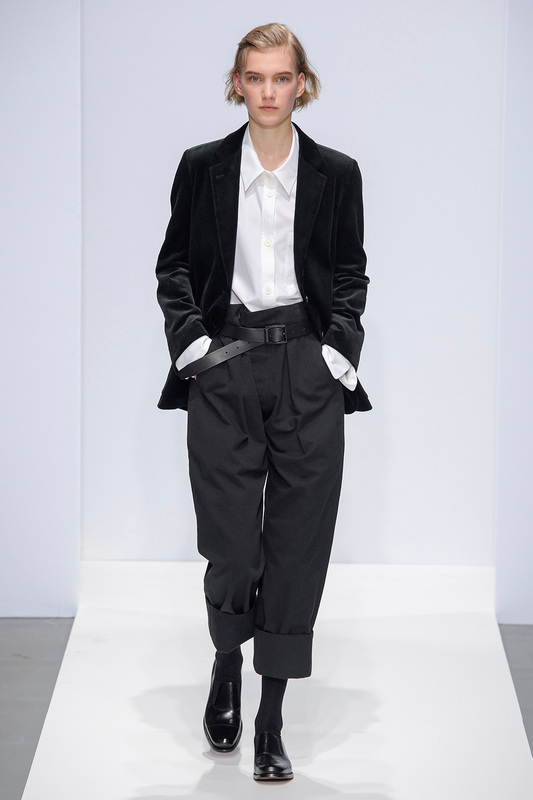 The full outfit as seen in Margaret Howell Fall Winter 2019 presentation in London. 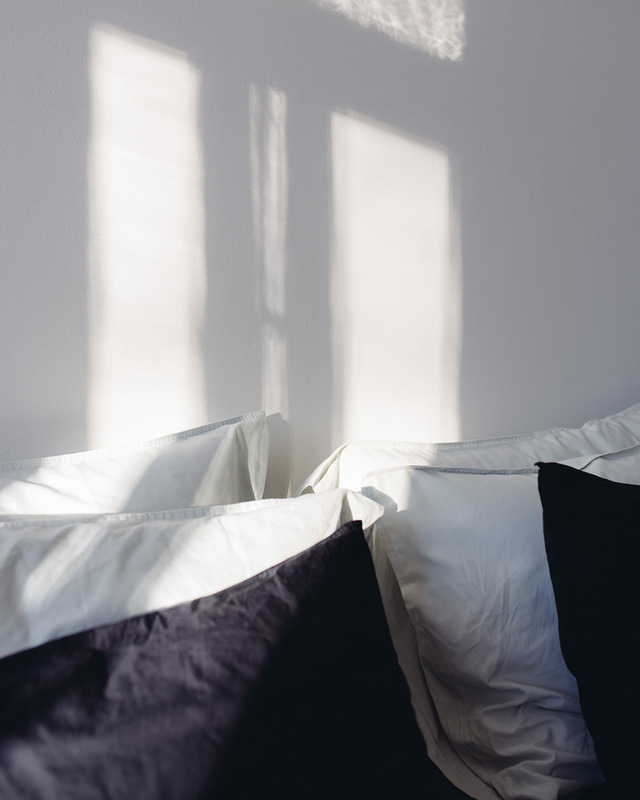 Image courtesy of Margaret Howell. A wardrobe of lightweight summer dresses? Got it. But that is relevant from May on. For now, I like the idea of a day suit. A relaxed suit, or separate trousers and blazer, my very own power set that could handle the harsh light and the brown and grey color palette of April. I have not found a suit yet but I have my eyes open. Inspiration from Margaret Howell, who else.